According to extensive research completed in our watershed, protecting future biological integrity and water quality can be accomplished by increasing forest cover in high priority areas. 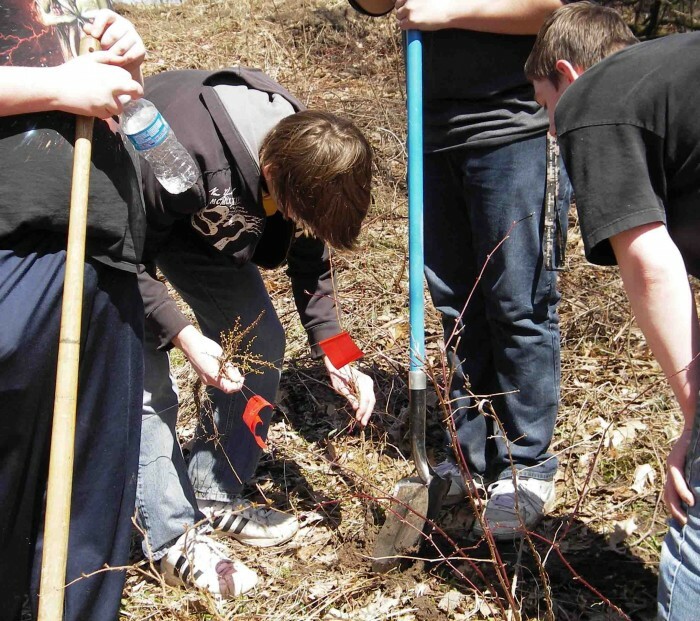 In 2013, the MRWA partnered with the Newaygo County NRCS and landowners to plant approximately 550 trees in Newaygo. MRWA recruited Terry Grabill’s Fremont Middle School students to assist on the project. The MRWA’s portion of the project was funded through the Fremont Area Community Foundation. In 2012, MRWA joined with the Cadillac Lions Club to assist in planting red pine at the Cadillac (Wexford Co.) Transit building near the ballfields. 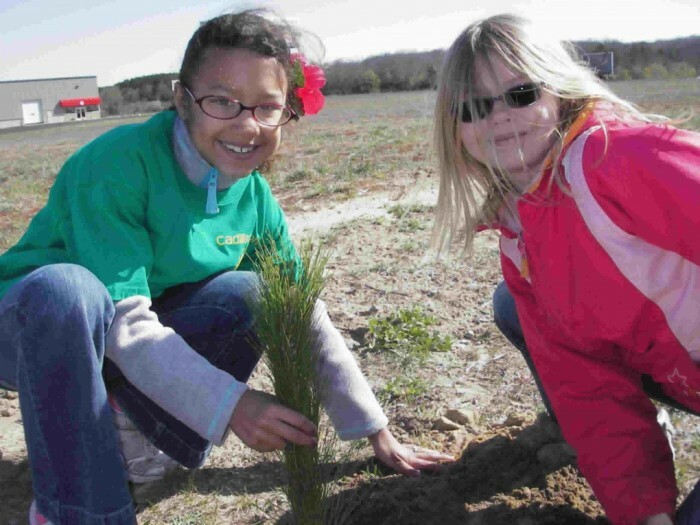 Franklin Elementary students planted approximately 150 trees on April 24, 2012. Trees were purchased with discretionary monies from the Great Lakes Fishery Trust. In 2011, the MRWA conducted three tree planting projects. 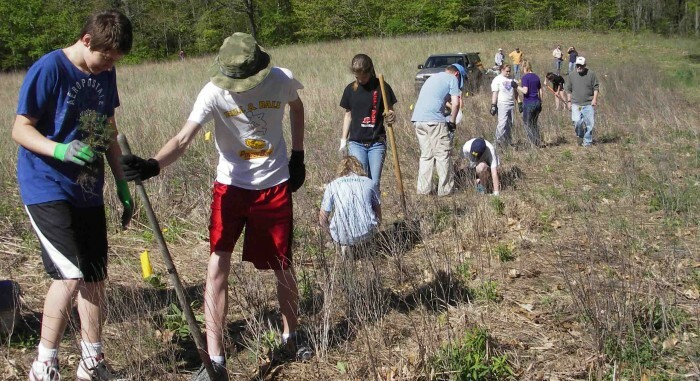 In April, approximately 50 Tri County Ecology students planted Tamarack on five private landowners’ properties near Howard City (Montcalm County). Students plotted and mapped each piece of property, took soil samples, and built 14 tree structures. Students will study the growth of the trees in future years. Funding for this project was obtained through MRWA discretionary funds from the Great Lakes Fishery Trust. 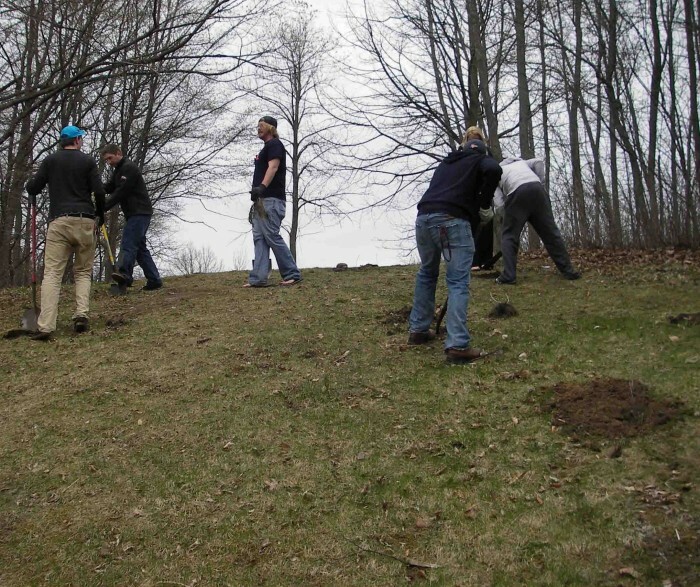 In May 2011, students from the Ferris State University Nature Study classroom planted small trees and shrubs on a steep hill on campus that had previously been mowed. The trees and shrubs will not only hold the bank from eroding but will also absorb much of the storm water flowing downhill. This project was done in coordination with the Ferris Rain Garden project funded by the Ferris Foundation, Great Lakes Fishery Trust, and Consumers Energy Foundation. 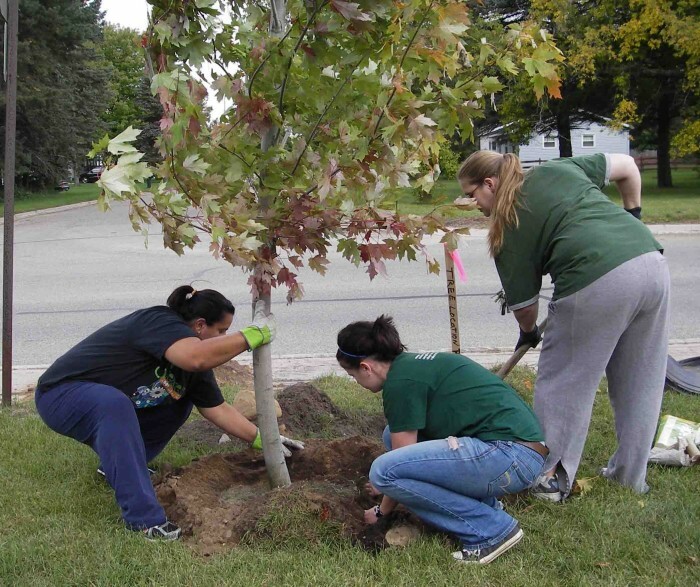 In September 2011, 11 students from Cindy Fitzwilliams-Heck’s Nature Study class planted trees along Milton Avenue in Big Rapids (Mecosta County). Funding for this project was provided by Haworth, Inc.